Why choosing Allo’Nature After shave Balm more than another one? Shaving alters the protective film of the skin and accelerates dehydration and skin dryness. 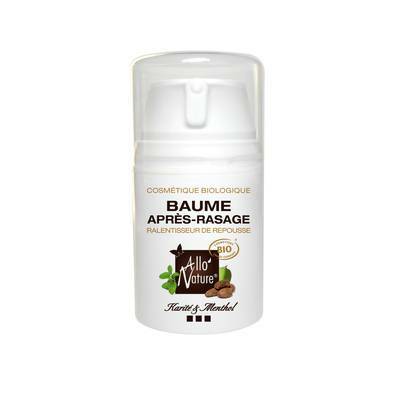 The watchwords of Allo'Nature are to repair, protect and give tone to the skin: Allo’Nature Aftershave Balm is essential to refresh and soothe your skin irritated by razors burns. It avoids some inconveniences as irritation, tightness or redness and helps your skin keeping health and youth. Avoid alcohol-based lotions which are too much aggressive for your skin. Your after shave balm should procures you comfort and pleasure. Please notice that this after-shave balm contains active plants which moisturizes and leaves a protective film on your skin ... And this is so much better! The must is that it slows the hairs regrowth for an optimum comfort.